Plastisol High Density Series is specifically designed for 3D High Density Printing on fabric, via screen printing process. 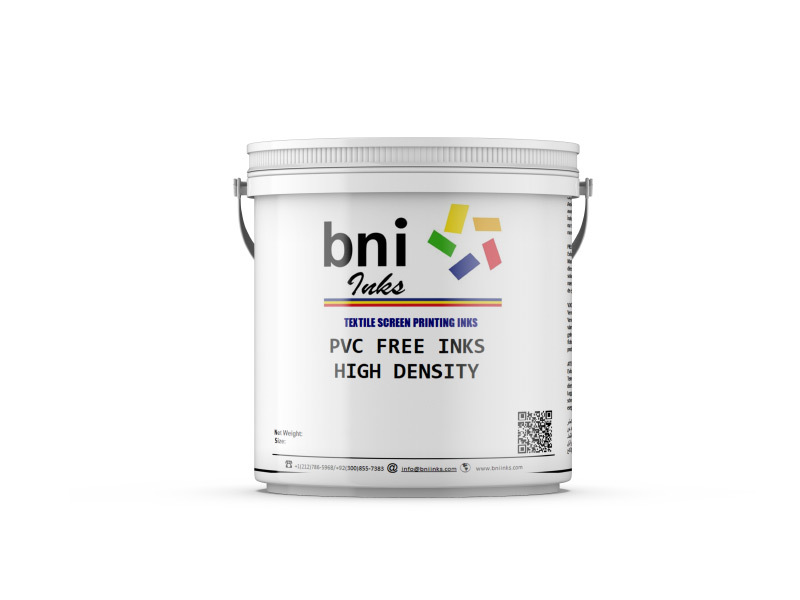 Plastisol High Density (JVHD) is a Phthalate and Heavy Metals free printing ink, for screen printing onto textiles of 100% cotton and poly/cotton fabric compositions. Good height in few strokes. High Elastic and non-break print results. Feasible for Direct and Heat Transfer printing. 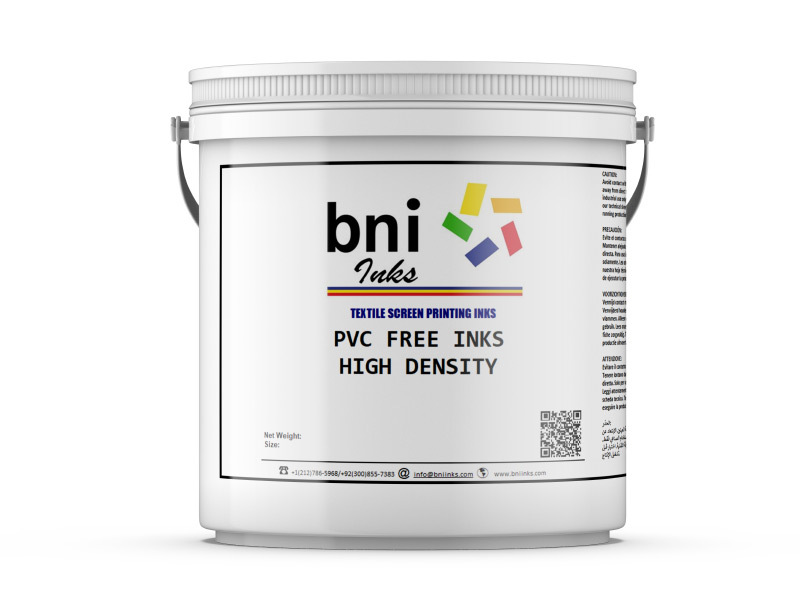 Can be mixed with BNI Inks toners. Plastisol High Density (JVHD) is a ready to use plastisol screen printing paste. For best results use a thick mesh, capillary high density screen, and apply 3 strokes curing each layer properly in order to achieve a good heighted print. 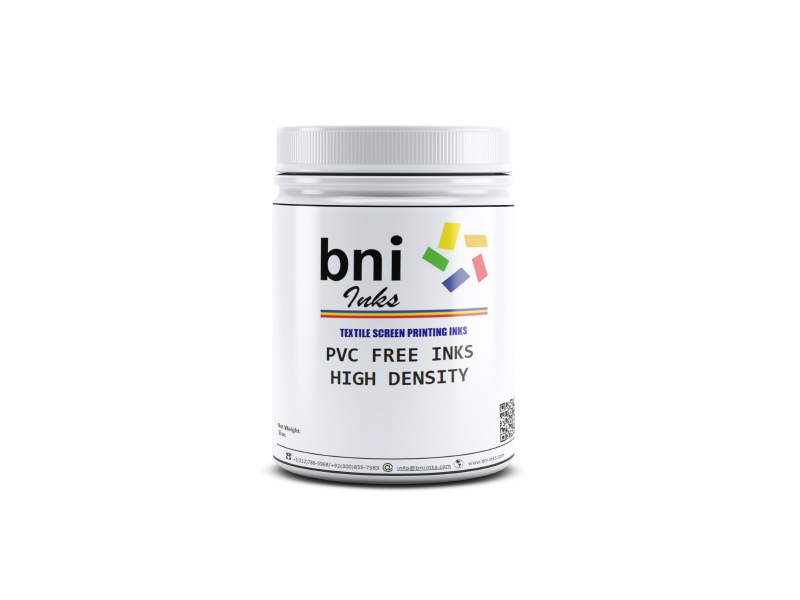 Ink holds a capability of accepting SE-17 plastisol ink viscosity reducer, to adjust viscosity as per requirement. Stir well in the container and pour the ink onto the screen to print. After applying, cure at a recommended temperature for 120 seconds to achieve the best elasticity and durability. Do not reduce viscosity of the ink more than necessary, as this may result in change of properties and results. Do not dilute with other inks, as this may result in poor efficiency. Keep a strict note of the curing vessel temperature, this is the key. Semi-cured prints may result in poor elasticity. Different fabrics vary in nature; adjust the inks usage and parameters as per the requirements of the fabric. Do not leave the container open to the atmosphere, to avoid contamination and achieve a stable shelf life. Squeegee Angle: 45 degrees to screen. Washing: Laundry wash, Cold/Hot Wash.